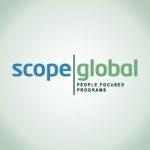 Scope Global is contracted by the Commonwealth of Australia as represented by the Department of Foreign Affairs and Trade (DFAT) to deliver the Australia Awards focused on Alumni professional development in South and West Asia including Afghanistan. To achieve above, Scope Global contracted Afghanistan Center for Excellece (ACE) to conduct a survey and identify professional development needs of the Afghan Australia Alumni in Afghanistan. ACE has been busy doing below activities under this project. Documents review for Australia Global Alumni Network Engagement Strategy and the Afghan Australia Alumni Association Strategic Plan (2018-2019) and list of alumni activities in the South and West Asia Region.